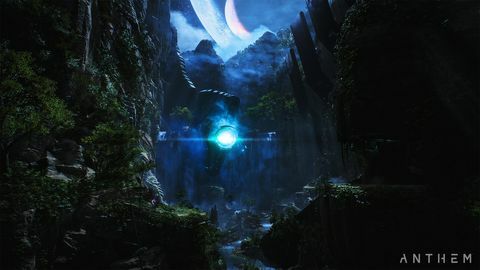 I was one of the few people jumping into the Anthem VIP demo this weekend that managed to get into an expedition with other players. It was even on my first try. I booted up on PC and managed to navigate through the first-person section in Fort Tarsis and straight into an adventure with a match-made group of three other freelancers – no troubles at all. Why’s everyone making such a fuss, I thought. From there it was a bug and server-issue laden nightmare of a weekend. From there it was a bug and server-issue laden nightmare of a weekend. I spent hours troubleshooting, trawling through forums for fixes to issues with every aspect of the game - from the client, to in-game glitches, and of course, the multitude of server issues. Normally, I wouldn’t have bothered. I’m not usually the kind of gamer who suffers through the troubleshooting period. But I was like a junkie – desperate for another fix. That first seamless half an hour with the game had shown me through all these multitudes of issues into an experience that I was itching to get more of. The interplay between combat and movement feels so good. In just my first expedition, I could tell that this was a gameplay loop that I could really get sucked into. The feeling of piloting the javelin was unwieldy at first. But I quickly got the hang of it and five minutes later was gleefully jumping in out of frantic firefights – hovering for a few moments to pop off shots on a hulking enemies weak spot, before boosting out of the fray and behind a rock as my shields recharged. A moment later, I was rocket jumping back into the fight, popping off shotgun blasts and energy blasts in equal measure. The interplay between combat and movement feels so good. In just my first expedition, I could tell that this was a gameplay loop that I could really get sucked into. I was eager to do so. The servers had other ideas, unfortunately. I won’t bore you through the multitude of fixes I attempted before I finally got into another match – but, let’s say it was perhaps not the best use of my Sunday. Regardless, I got another 30 minutes on an expedition and this time got to experience the importance of teamwork. This mission included an arena battle in which me and the other javelins had to take down a huge four-legged metallic beast while also fending off waves of mobs. I got the sense in this brief team-focussed scuffle, that the balancing is pretty damn good. I never felt like the difficulty balance was unfair. Anytime I got really messed up, it was obvious what my mistake had been, and I usually had an opportunity to course-correct instead of instantly getting obliterated. But, even when I did get downed, the javelins have abilities such as bubble shields which make revival achievable. The combat, flight and movement feel great and seems like a skill set that you will only get better with over time. After finishing that mission, I wanted more, but I couldn’t deal with suffering through the server issues anymore. Finally, I decided to try and complete the final expedition of the demo solo. It was nice to be able to take things at my own pace and have a little explore between each objective, but the combat wasn’t quite as engaging alone. You have to play much more cautiously, and though the game clearly balances itself differently to accommodate the solo play, it just didn’t feel like it had been designed to be played that way. But it still seems like a workable way to play for those who want to go solo. 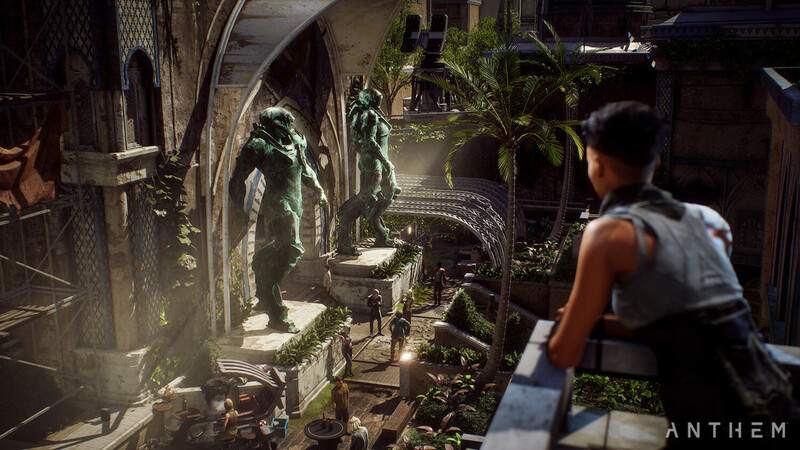 Having finished the missions in the demo, I was excited to have enjoyed the gameplay loop so much – something I honestly was not expecting from a BioWare game (which I normally love despite the gameplay). The combat, flight and movement feel great and seems like a skill set that you will only get better with over time. However, there are still a lot of unknowns for a game as a service game like this. The loot grind seems alluring, but it’s hard to tell if it will stay appealing across the campaign and into the end-game. Speaking of, will the game have the end-game content to keep the service alluring and a community engaged? 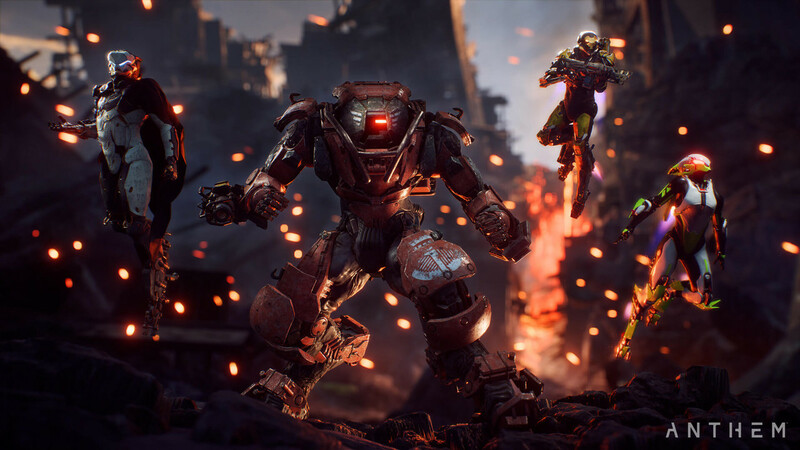 After such a technically shaky beta, the biggest question is whether Anthem is going to have a stable launch. The story and characters are another huge question mark. I was intrigued by the first-person segments at Fort Tarsis – they were well animated and seemed to follow interesting arcs. But the demo started at level 10, so it was hard to connect with these arcs without knowing these characters or the stakes of their stories. 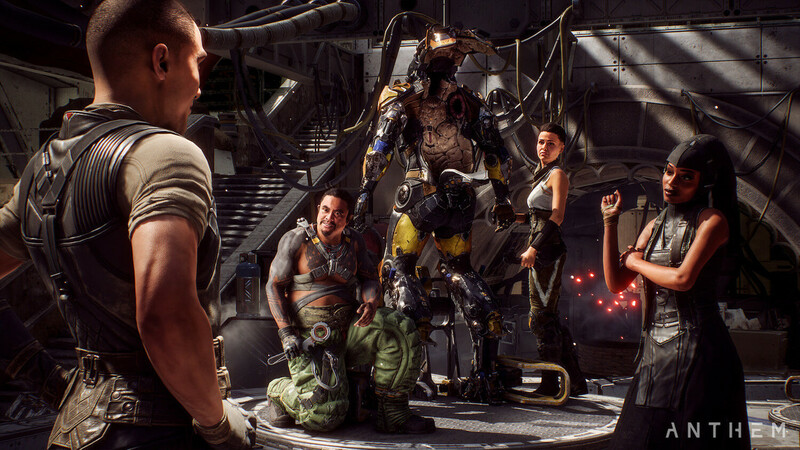 From what I experienced, I do worry that BioWare may have lost the emotional evocation they normally create with their characters in this multiplayer environment. But maybe not? The encounters were interesting and well written, so they may land when playing right through these stories. 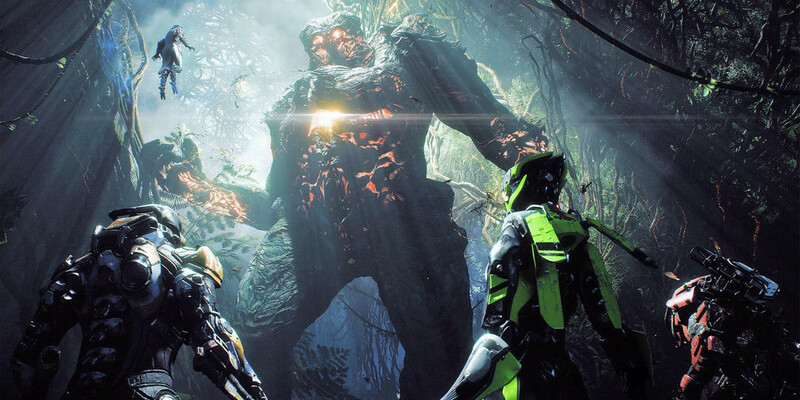 After such a technically shaky beta, the biggest question is whether Anthem is going to have a stable launch. If this weekend is any indicator, I don’t think it will. The server issues were bad, but the bugs seemed to go much deeper. I experienced a range of game-breaking faults. Load screens would freeze often than not. Myself and a lot of others it seemed from forums were experiencing a fault with the game client on PC which intermittently stopped us from even launching the game. Several times in Fort Tarsis, the world popped in and out, and I ended up stuck underneath the map. Then, I would have to crash out of the game, and the friggin’ launcher wouldn’t work again. It was a mess. A bigger mess than can probably be cleaned up in a month. Don’t get me wrong – I’m sold on the game. But I wonder if it might be worth waiting a couple of months after launch till things are fixed and the game can be experienced at its best – like it was the first time I jumped into this demo.